Our hydraulic pad jacks – also known as low profile ‘pancake’ cylinders – are perfect for lifting in small and confined areas. Our range are also produced by Power Team, so you can count on robust quality along with impressive performance. Take a look through our Power Team pad jacks today to find the right option for you. 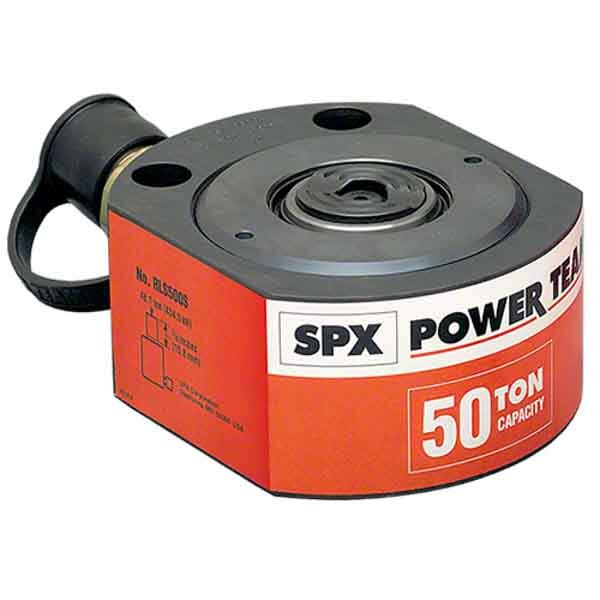 If you need to lift heavy loads that are low to the ground, then you won’t go wrong with a Power Team pad jack. These are designed to neatly slide underneath any low objects, and what’s best about our range is that there’s a choice of capacities. You can choose from 5 up to 150-ton options with our hydraulic pad jacks and there are clearance ranges from 41 to 101.6mm. Their smart Power Team design also means they’re designed to last. They’re also treated to be resistant to corrosion and abrasion and they’ll stand up to regular and intensive use. When you order your hydraulic pad jacks from SGS Engineering, you don’t just receive a quality product, there’s much more to enjoy. We offer fast delivery, which is free is you spend £100 or more. On top of this, we have a 60-day returns policy and offer a lifetime warranty on all our Power Team pad jacks. 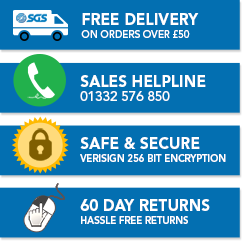 You can also get in touch with us if you need any further assistance via email at sales@sgs-engineering.com or telephone on 01332 576 850.